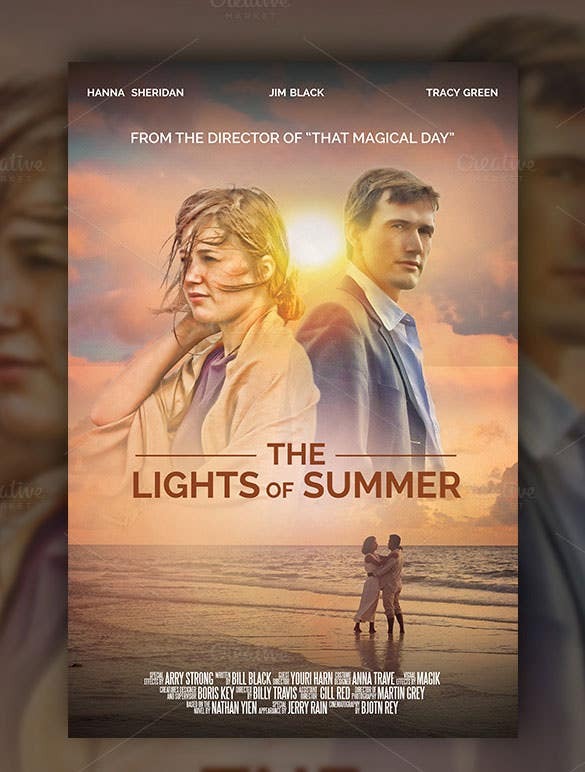 Movie Poster Templates – 26+ Free PSD Format Download! Movie posters fascinate a lot of people – especially the youth. 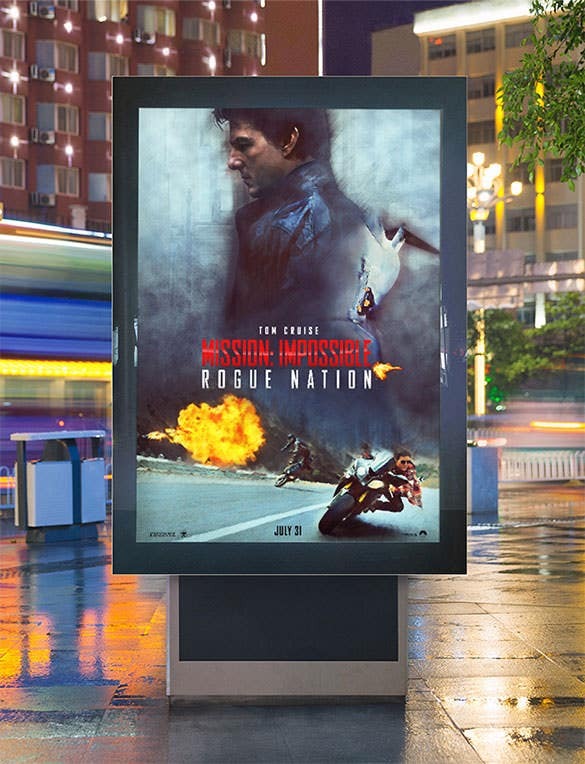 Movie poster design is a specialized area of design, and a wonderful art form to excel at if you’re truly interested. 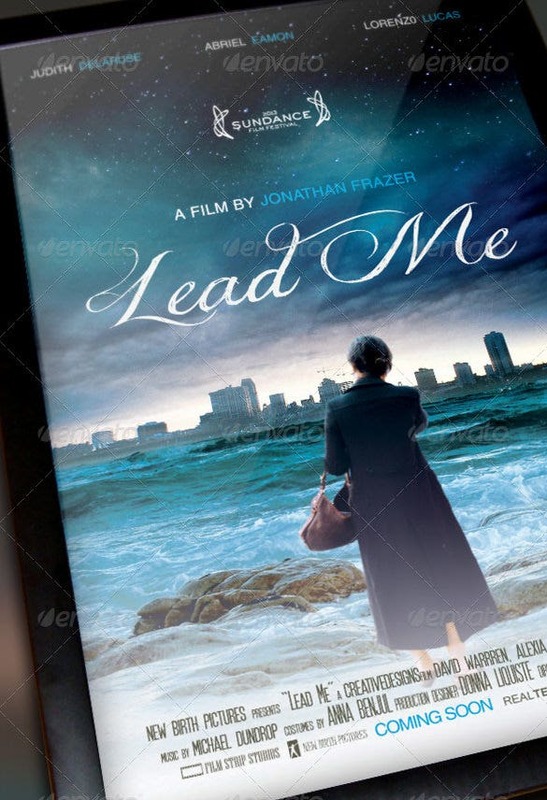 Be it professionals or rookies, PSD movie poster templates are must-have. 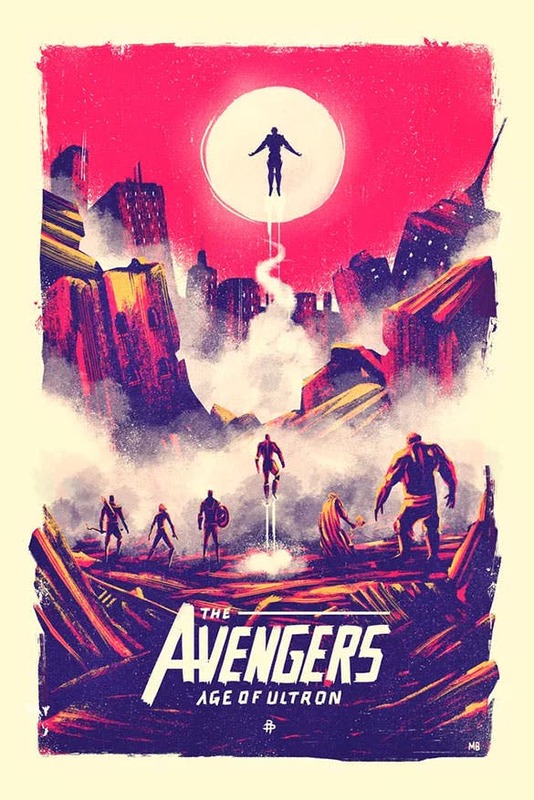 The templates not just deliver ideas and inspiration, but also give you the opportunity to hone your craft of movie poster design. Scroll down and give our collection of templates a must-see.You can also see PSD awesome poster templates. 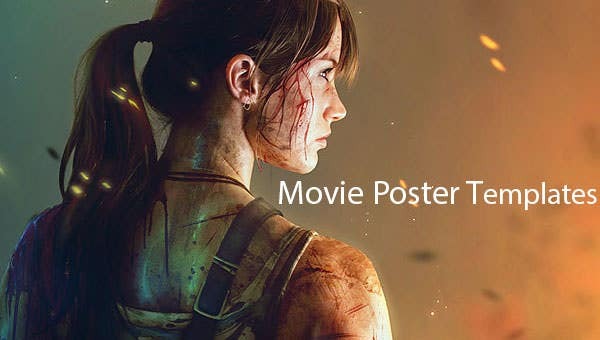 Download this awesome boot movie poster PSD with download option and make a flawless advertisement for your current movie posters. 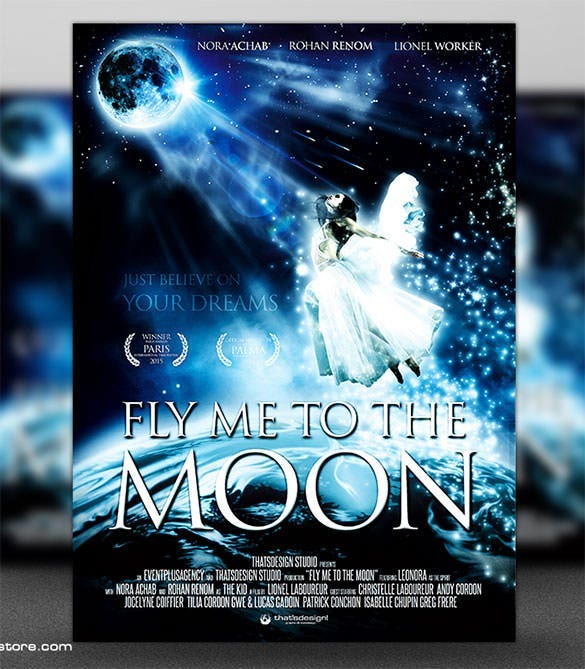 It has a free download option which can unquestionably help the film to stay in the spotlight. 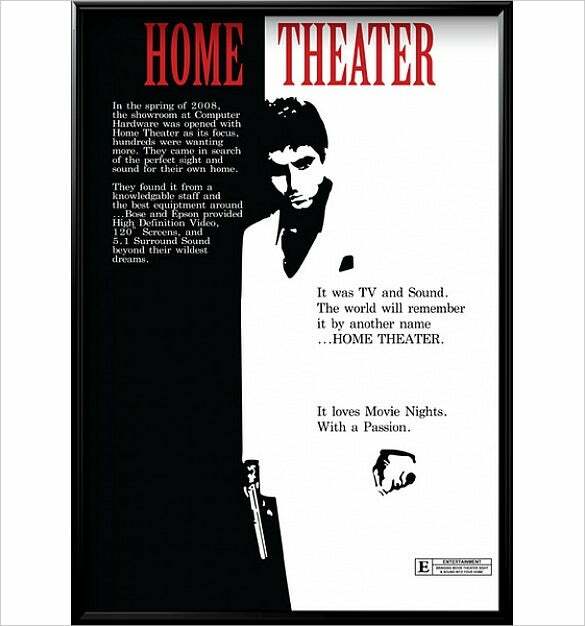 This template will add life to your movie poster and attract audience. Get hold of this Armor of God Movie poster template and add glitter to your existing movie poster. 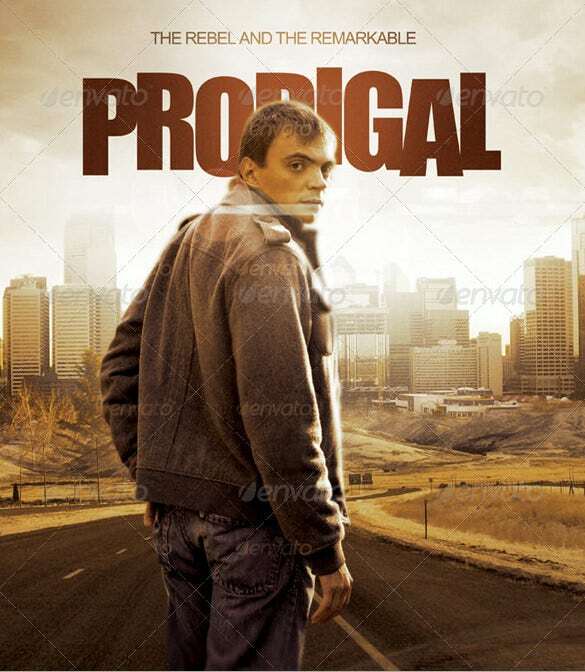 Being a PSD editable option, this should suit people who deal with editable movie posters. Use the printable download option of this movie poster template and create an awesome impression on your audience. This download option doesn’t cost you a buck and its advantages are awesome. You can use your creative thinking to customize the poster as per your business or design needs. 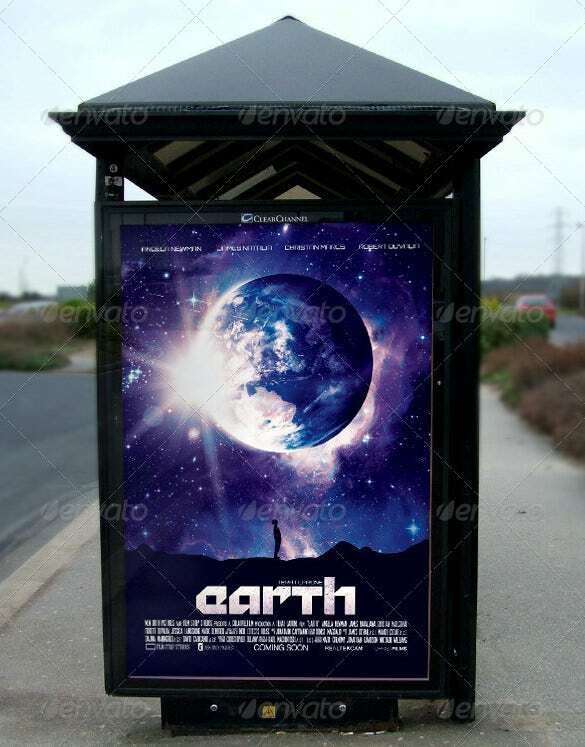 Grab this Earth movie poster template which comes loaded with Photoshop PSD option and make your poster eye catching. Thanks to the easy editable option in this template, you can manipulate and customize the content easily. With this template you can make heart winning poster for your audience. 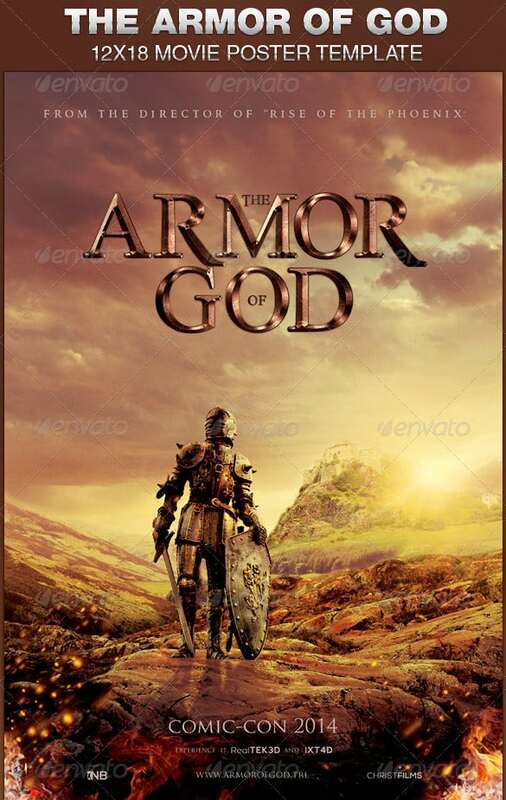 Get hold of this Armor of God Movie poster template and add sparkle to your current movie poster. This has a PSD editable option which makes it apt for the people who are into movie poster editing. This poster has wonderful design elements which makes it amazing for users. 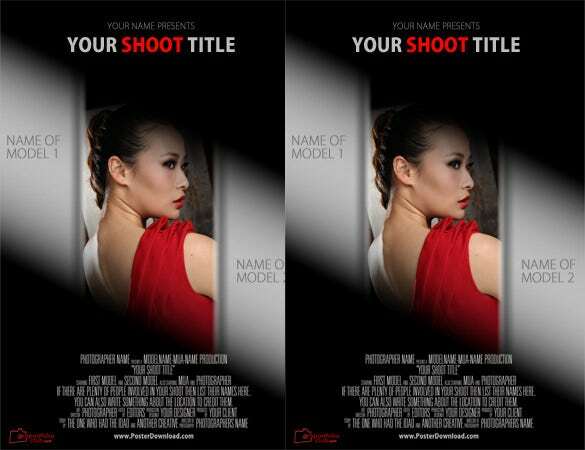 Download this pro portfolio club movie poster template to make a movie poster that is eye catching and interests your audience. 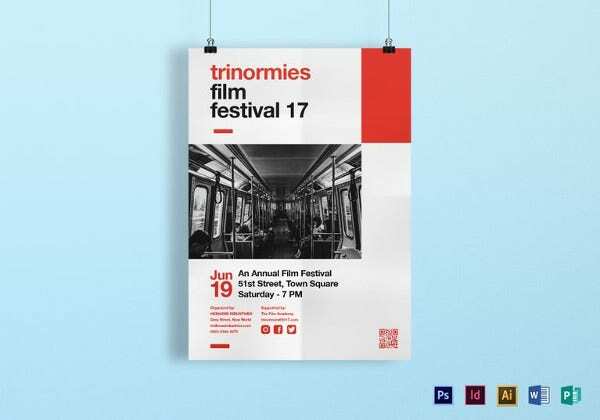 This template can deliver some creative stuff for individuals looking for the best movie poster design. 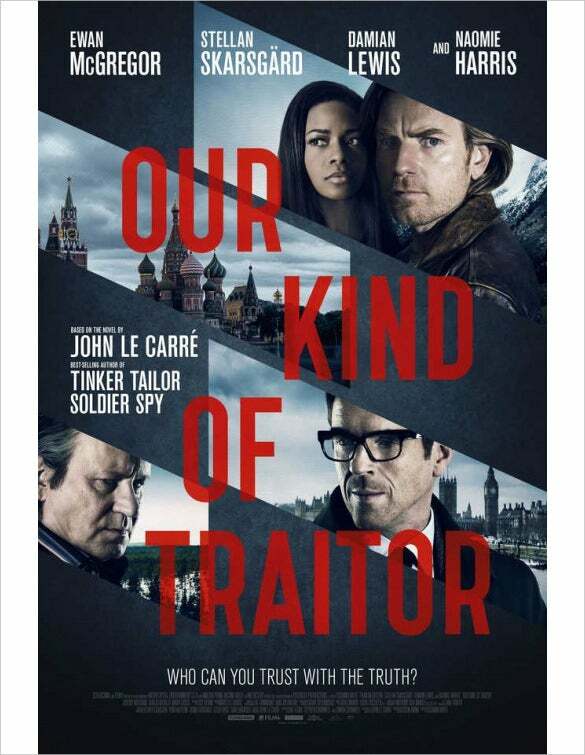 With this template you can add laurels to your existing movie poster. 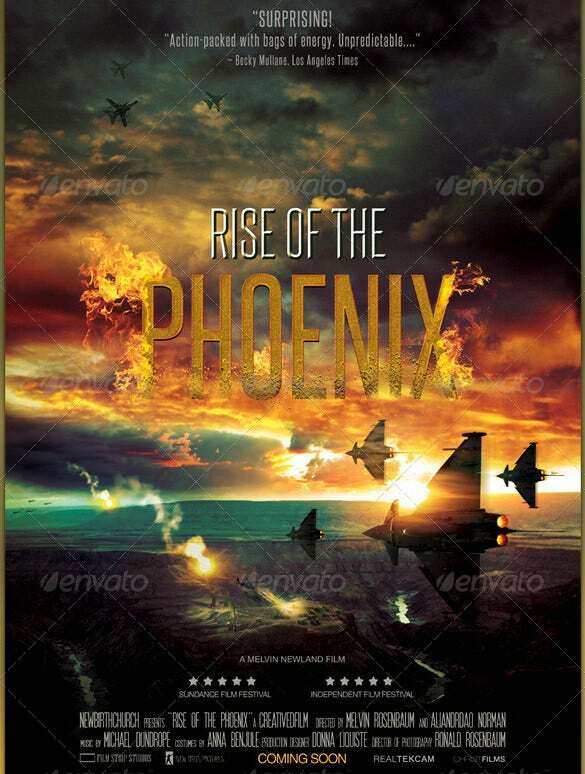 If you want to add sparkle and style to your movie poster, then you can download this Rise of the Phoenix movie poster template PSD format variant. The design is incredible which will increase the value of your current movie poster and make it more appealing for the target audience. If you wish to add some drama in a blank movie poster then you can download this printable movie poster free vector which has a download option. 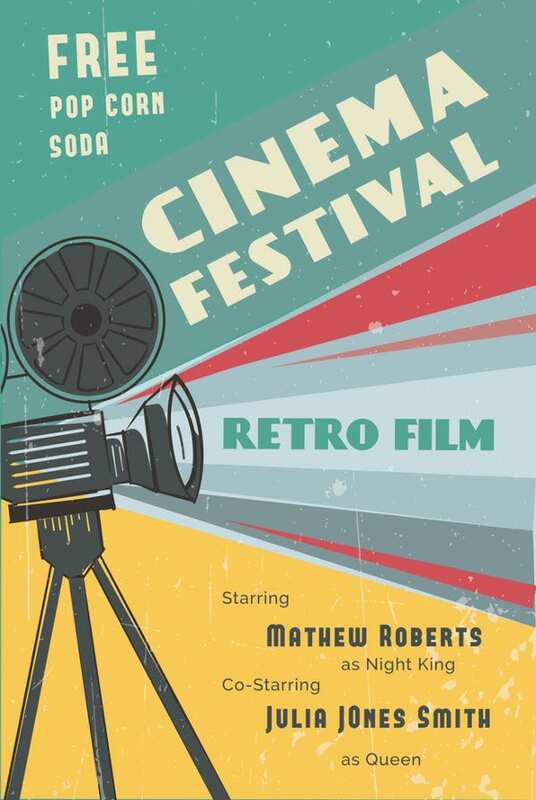 Using this amazing vector you can make a poster that will catch the eyeballs of the movie buffs and make them love your work. 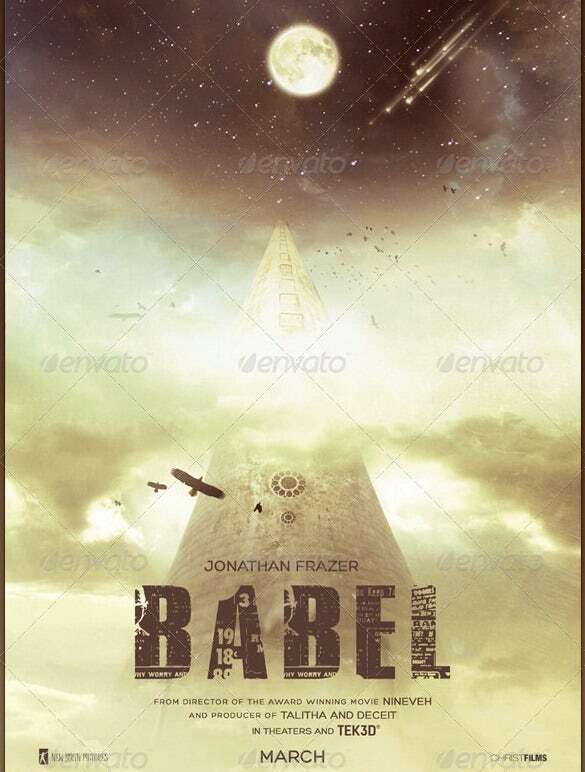 You can download this Babel movie poster template Photoshop PSD option and make a poster which is very attractive. The creative nature of this poster makes it perfect as a template. 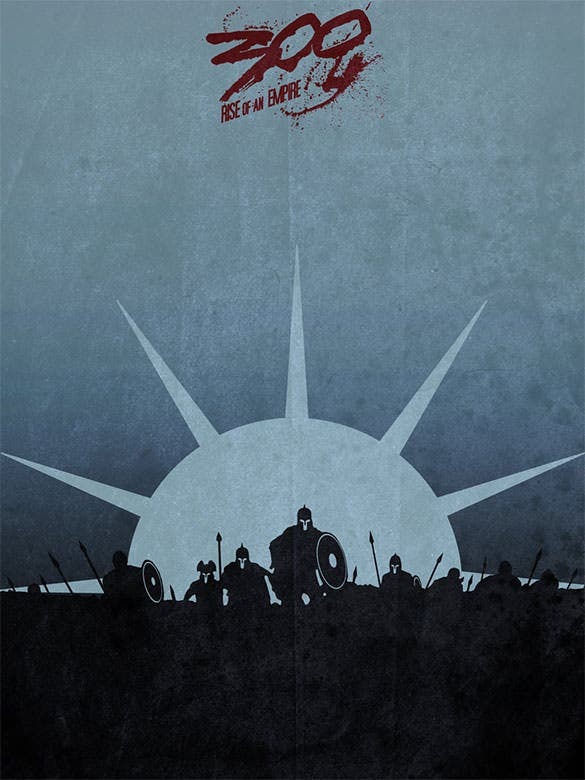 You can use it to build powerful poster that would definitely appeal to all the movie buffs out there. 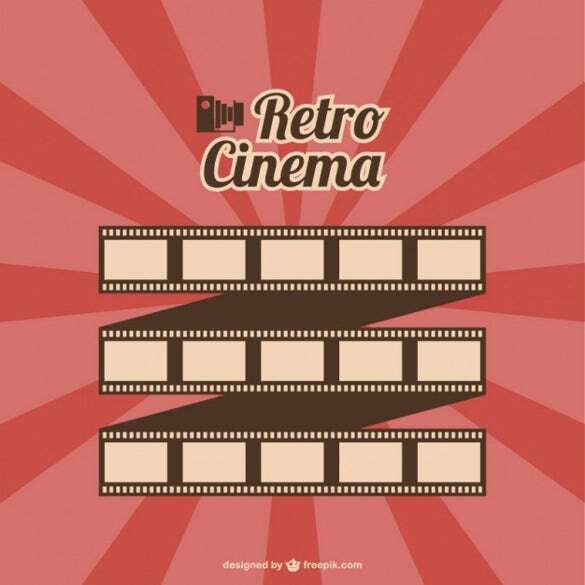 If you are looking to create a movie poster in high definition, then you can download this film roll retro movie poster template vector which is available for free download. This template will help you to create an awesome product that will woo your audience. 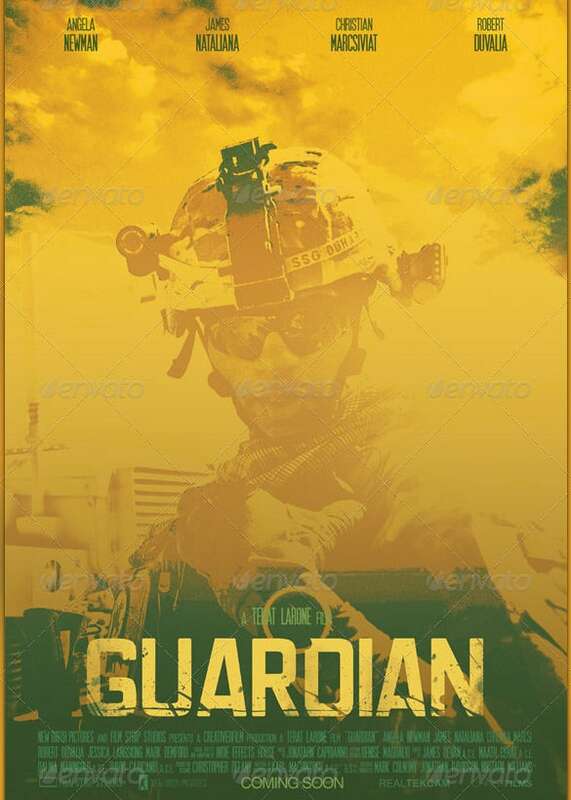 Download this awesome Guardian movie poster template which comes with a Photoshop PSD option and turn your movie cover template from boring to exciting. It will add a lot of drama to your present movie cover poster. With the help of Photoshop you can personalize the template. If you wish to add style and class to your current film poster template, then download this Printable scar face movie poster vector. This movie poster will add a lot of drama in your existing work and bring in the elements of this wonderful classic movie. The heart frame in the middle of the poster makes an interesting framing for romantic images of hero & heroine for a romantic movie. 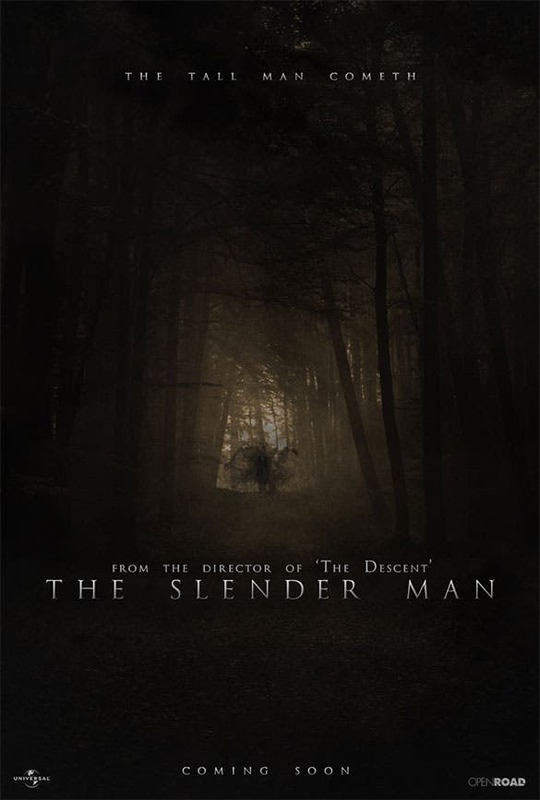 The lower portion of the poster can e used for movie name and other details. 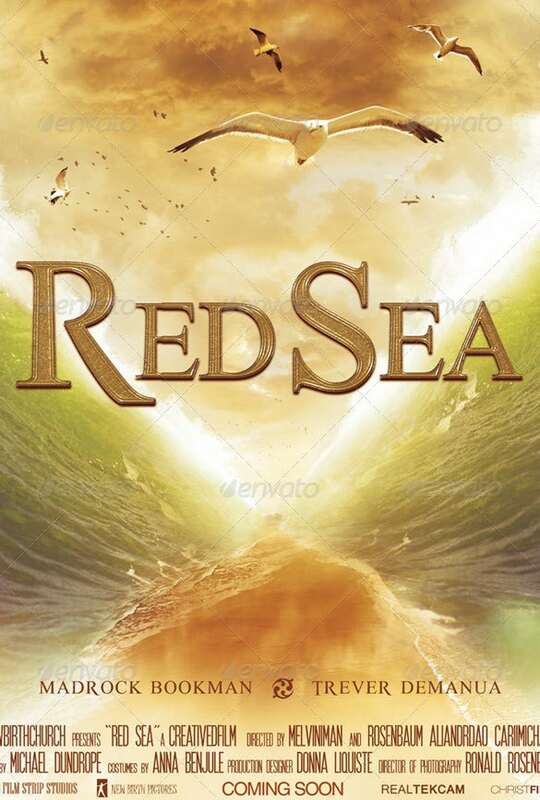 The poster template offers you to insert a bright close-up on the cover page as well as a pronounced and solid lettering for the movie name. You will get to choose from various color schemes. 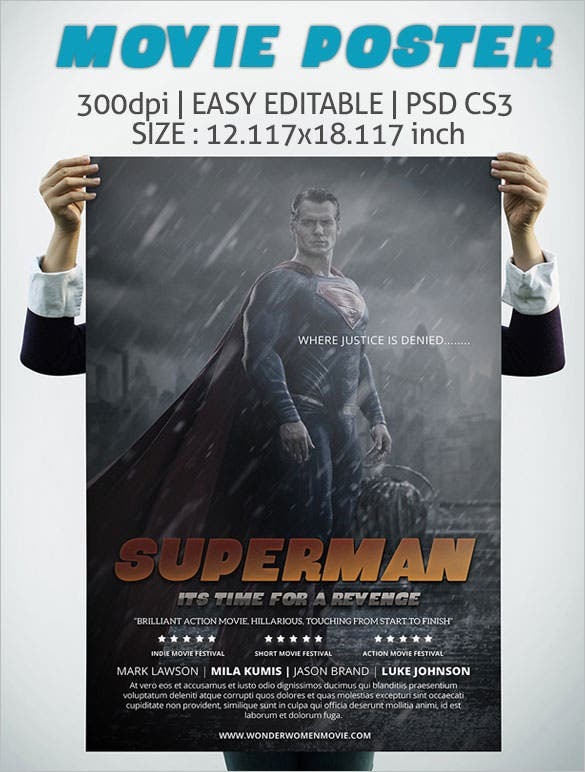 If you are for something larger than life as the background for your movie poster, this poster template would e great for you. The dominance of red adds on depth to the mockup. 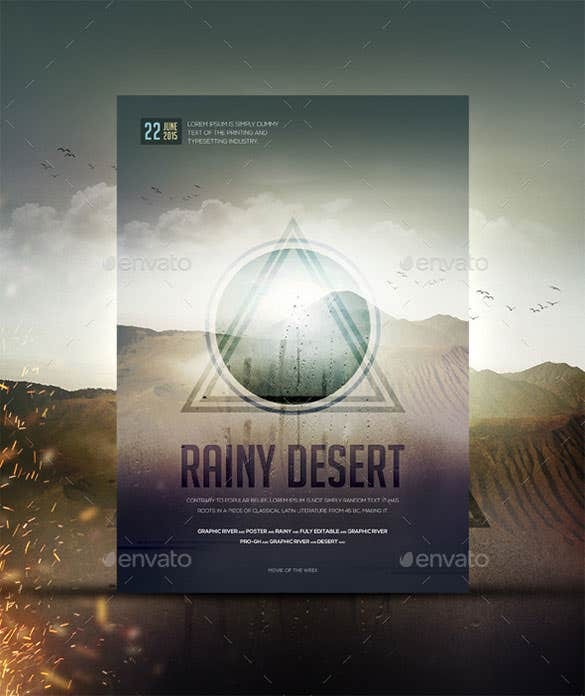 The poster template here allows you to insert close-ups at the center of the cover page and you will still find ample space below for further artwork as well as the text details. If you are looking for a surreal feel for your movie poster, this poster mockup would be great for you with its amazing mix of black and blue. 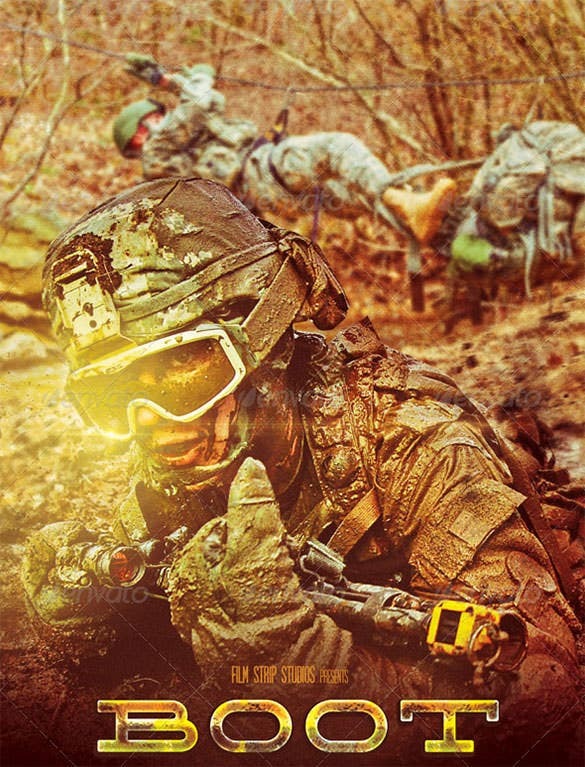 The top and bottom of the poster would be great for text details. Whether you’re working on a project or for portfolio-building purpose, you can include this template in your collection and develop it further. 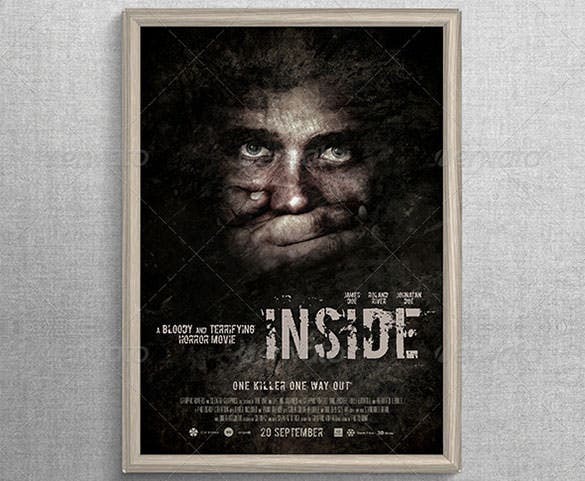 Showcase your artistry on this template and make it into an even more attractive movie poster. 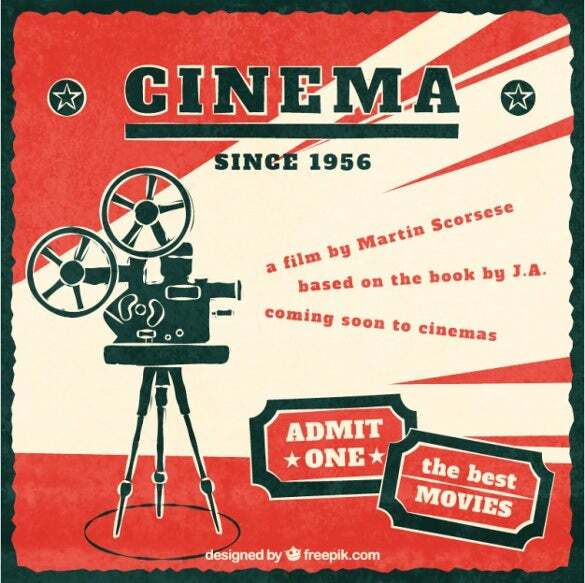 This is a free, downloadable sample which you can customize to create the movie poster you desire. These templates are a favorite of the contemporary designers as these save a great deal of time and work for them with their predefined structure. 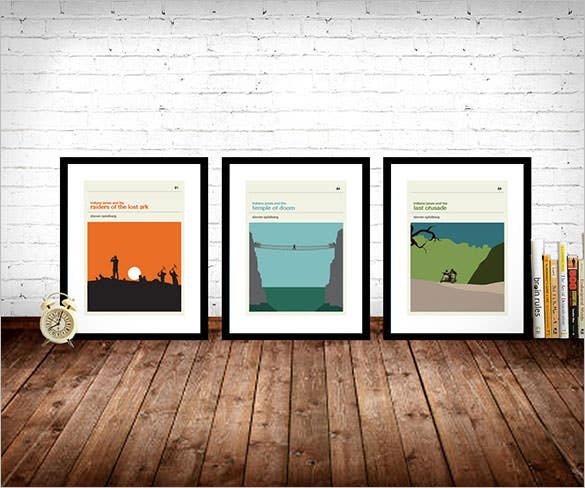 Many online sites offer free poster templates.